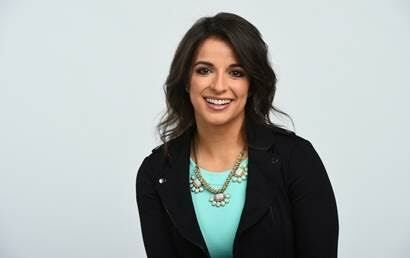 Victoria Arlen has joined ESPN as a contributing features reporter. Along with reporting for espnW and X Games Aspen, the 21-year-old Exeter, N.H. native will also appear on SportsCenter across all platforms. Diagnosed at age 11 with two rare conditions; Transverse Myelitis and Acute Disseminated Encephalomyelitis, Arlen soon lost the ability to speak, eat, walk and move; doctors believed she had little chance of survival, let alone recovery. Against all odds, she fought through four years of being in a vegetative state and began the near-impossible journey to relearn everyday tasks and functions. Arlen has since become an accomplished motivational speaker, actress, model and competitive swimmer with three silvers and a gold medal from the London 2012 Paralympic Games, Arlen has also broken several World, American and Pan American Records. In May 2015 at age 20, Arlen made the transition from professional athlete to reporter and served as a features venue reporter at the Special Olympics World Games in Los Angeles. In addition to her duties with SportsCenter and espnW, Arlen will also be involved with X Games Aspen 2016.